Warning Lyrics by A Kay another hit song which is composed by Snappy. Its lyrics are penned by Rav Hanjra and background rap vocals are given by Carter. Get lyrics and full audio of “Warning” song by A Kay here. 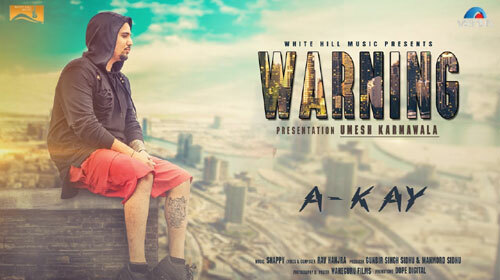 If you find any mistake in lyrics of WARNING LYRICS – A Kay | Punjabi Song song please let us know in comments.